Coordinated by the U.S. Department of Health and Human Services Office on Women's Health, National Women's Health Week (NWHW) brings together communities, businesses, government, health organizations, and other groups in an effort to promote women’s health. The event started on May 13 and ends May 19. In celebration of National Women's Health Week and in recognition of the numerous accomplishments undertaken at The Feinstein Institute for Medical Research, a newly organized group of female scientists, Advancing Women in Science and Medicine (AWSM), hosted its first annual awards breakfast on May 17. Scientists, educators, business and community leaders from the region attended the event to celebrate the excellence and achievements of women scientists at the Feinstein Institute. AWSM was created in an effort to advance the career opportunities and career satisfaction of female scientists at the Feinstein Institute. AWSM is comprised of 25 female faculty members who lead programs in basic, translational and clinical research. The group elected Christine Metz, PhD, as president, and Nadeen Chahine, PhD, as vice president. The four core initiatives of AWSM are in the areas of career development, recognition, advocacy and education, and networking, and mentoring. 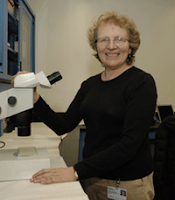 "It seems that successful women scientists are less likely to seek recognition for their discoveries," noted Dr. Metz. "AWSM encourages and assists women in their efforts to be recognized for their achievements, and this annual awards breakfast is a celebration of such achievements. We are executing a strategy to conduct community outreach and build awareness for AWSM that will underscore the importance of our initiatives." 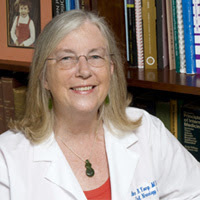 One award of particular esteem is the Scientific Achievement Award, which was conferred to Betty Diamond, MD, head of the Center for Autoimmune and Musculoskeletal Disease at the Feinstein Institute. She received this award in honor of her work on lupus. One in 1,000 Americans has lupus, which is nine times more common in women. Lupus is a chronic autoimmune disease that can damage any part of the body (including skin, joints, and/or organs). Each person's experience with lupus is different, but common symptoms include joint pain, skin rashes, thinking and memory problems, and intense fatigue and exhaustion. Anne Young, MD, PhD, Julieanne Dorn Professor of Neurology at Harvard Medical School, chief of Neurology at Mass General Hospital, and founder and scientific director of the MIND Institute attended the awards breakfast. Dr. Young discussed her experiences and perspectives on being a woman in science and medicine at Harvard Medical School. She was conferred the first AWSM Award for Excellence for her outstanding contributions in the field of movement disorders. Dr. Young has identified important gender differences in patients with Parkinson's disease and has implemented a comprehensive drug discovery program for identifying novel drug targets for Parkinson's, Huntington's and other neurodegenerative disorders. In addition, she has been extremely supportive in advancing women's careers in science and medicine.